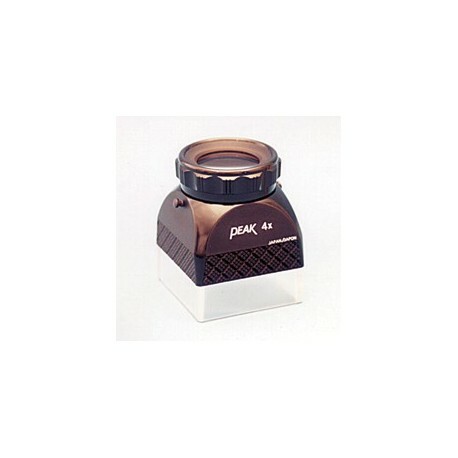 This 4X PHOTO LOUPE BENCH MAGNIFIER has a high resolution achromatic lens with adjustable focus. Square base great for wide field inspection. Features interchangeable black and semi-transparent skirt for various uses. Field Of View: 1.75" x 1.75"